You’ve heard it before, and you’ll continue to hear it time and time again: “content is king.”. Online marketers know this mantra well, but how familiar is it to business owners and medical directors like you? As a practice owner, you most likely have the basics in place. Website – check. Social media presence – check. Email contact with patients – check. But what kind of content fills these platforms? How often are you updating it? And how are you connecting with your patients and prospects? This is the heart of medical content marketing. Is Medical Content Marketing Essential to My Practice? The longer answer: for any business owner, content marketing is a means of acquiring potential customers, retaining current ones, making the brand more notable, or really anything else that promotes the business. Content marketing can bleed through a variety of mediums, whether it be blogs, newsletters, images, infographics, or videos, and can be implemented with many strategies. Content marketing is essentially anything that educates, engages and attracts an audience on a continual basis. For practitioners, content marketing is one of the most effective and impressionable ways to become a leading expert in your field. First, if you’re a physician, doctor, or practitioner, you know how ever-changing the medical and healthcare landscape can be. It is crucial to stay current and knowledgeable about the most recent news, trends and research. Content allows you to stay on top of all these topics – to show or demonstrate your expertise, and to show that you are growing and learning with the world as well. No patient wants to be under the care of a supposed “expert” who hadn’t heard about last month’s breakthrough on X, Y, or Z. With content marketing, you’ll have the proof to show patient’s that you were on top of the topic before they even asked you about it. 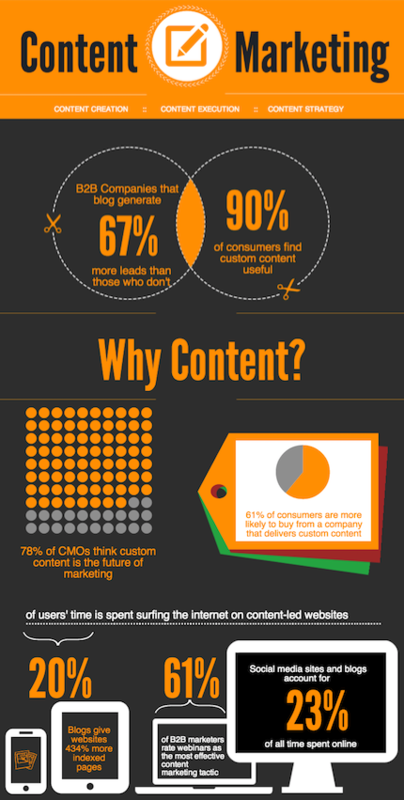 Content Marketing Infographic by Ciceron. Second, how do you think new patients are discovering you? We believe in implementing effective referral campaigns, but simple word-to-mouth recommendations no longer stand on top. And even if so, people will still turn to their phones, tablets, laptops or desktops to find out more about you. If users see that you’re actively online, engaging with your audience, and providing educational and knowledgeable content, you will begin to build their trust. Patients want a better understanding of who you are, what you do, and what you stand for before they even step into your office. It’s also important to note that unlike retail stores or merchandisers, your patients are also investing their time and money in the product and you. Having a great product is one thing, but you’re going to be the one administering the treatment and monitoring the patient’s progress. You need to build that trust early. 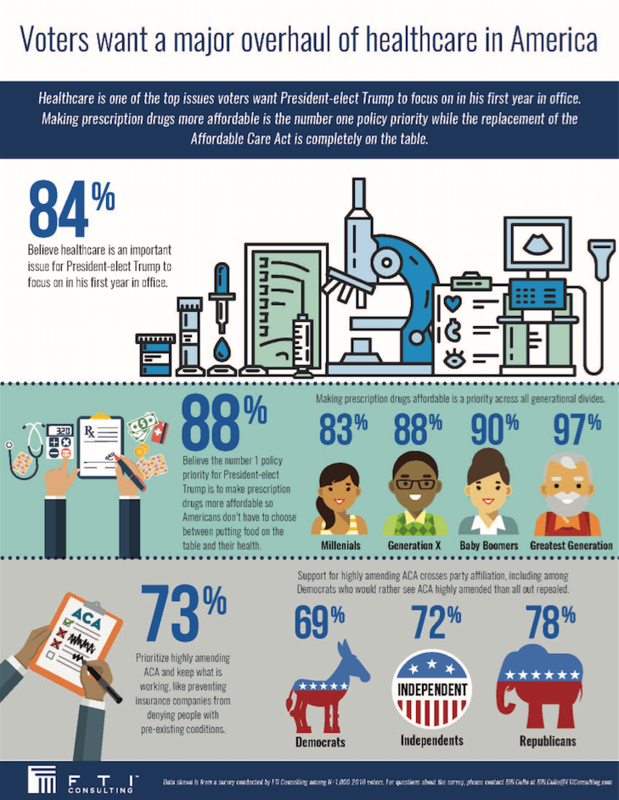 It’s safe to say that medical and healthcare regulations, policies, and research will continue to change tremendously in the coming years. We are currently in a thrust of technological advancements and political change – this is why medical content marketing is more important NOW than ever before! People won’t always catch the nuances in medical or healthcare regulations, policies and research; so take the initiative, do your practice a favor, and be a helping hand to those inquiring individuals who want to learn more and discuss it together. Strip away the confusing medical jargon, use metaphors to explain complex concepts, and relate to the average person in a way that they’ll understand you. This is one of the biggest obstacles to overcome in creating effective medical content. If you can nail this part, you’re off to a good start. Medical content marketing is one of the best ways to demonstrate your expertise, build trust, share knowledge and foster a community. More and more patients are seeking a greater personal connection with their practitioners, and you can help bridge this relationship with medical content marketing.